Happiness is the new satisfaction. Measure customer happiness in each interaction. 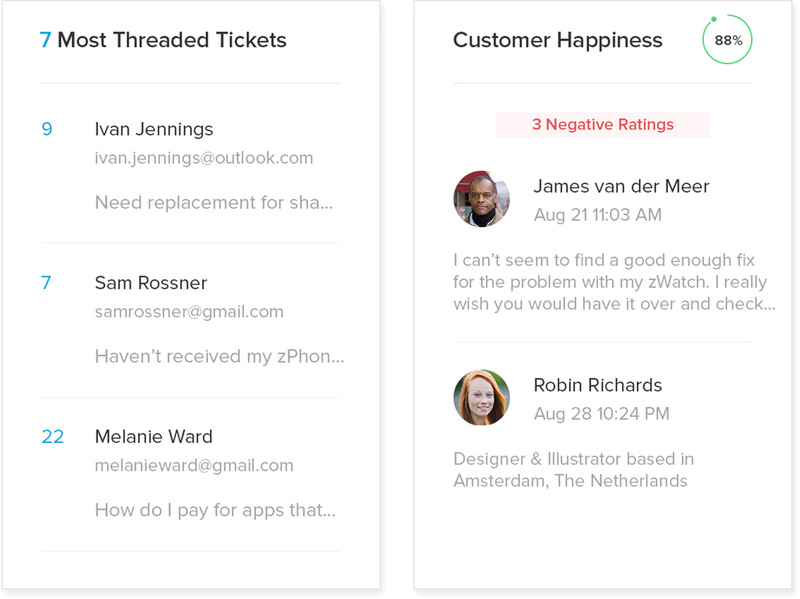 Track, improve and optimize your customer service experience to deliver more happiness in every ticket. One question. Two rating options. Clear insights. Ask your customers a simple question and follow it up with two easy options to pick from. 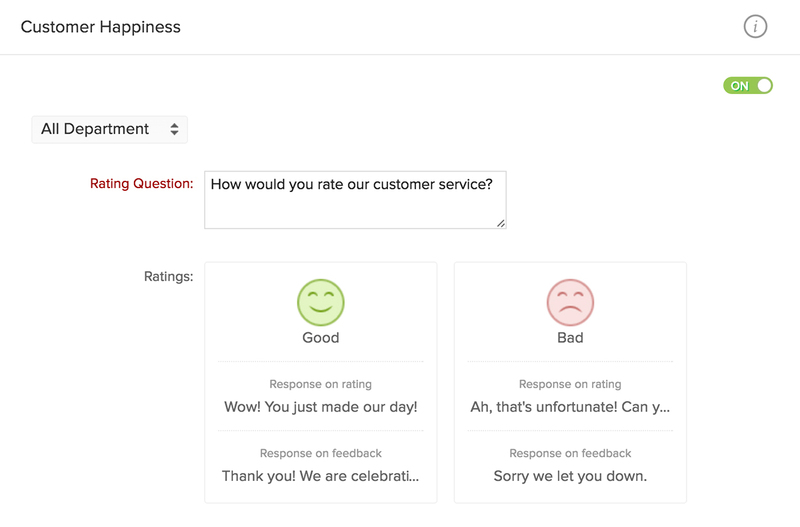 Customers can also give additional feedback, so you can get clear happiness insights with reasons to back them. Ask for a rating once. Or as many times as you need. Strive to create happiness right from 'hello'. But if you couldn't, just give it another shot. You can ask for ratings at every step, or just once after ticket closure. Who said what. And when. Organized by customer, account, ticket and agent. All ratings from customers are aggregated automatically in a single place. See them grouped by customer, account, ticket and agent. You can also compile custom reports with happiness ratings in the criteria. Follow-up, figure out and finish. 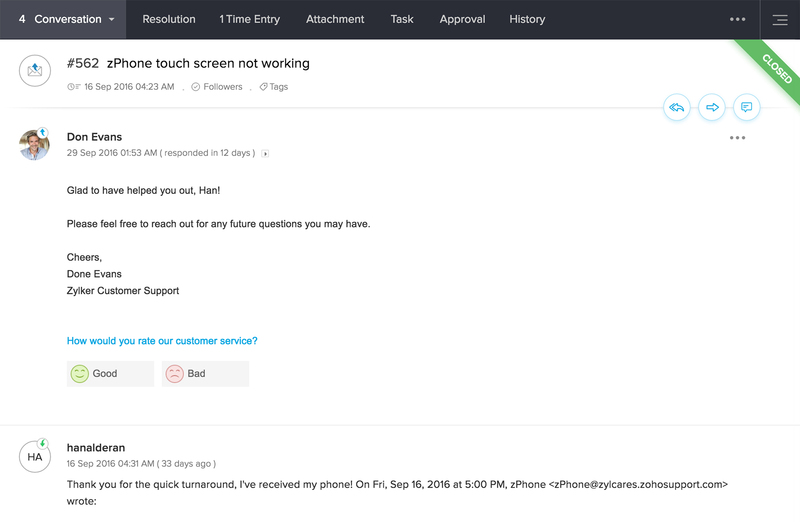 Closely track feedback from customers via custom views. Automate follow-up processes based on the rating received. Figure out what happened and finish every interaction with a happy ending. Show off how good you are. All your ratings. On your portal. In real time. 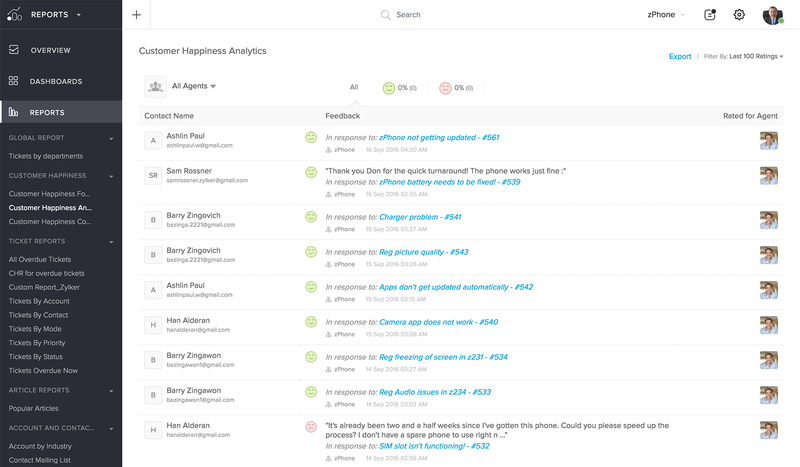 Your most recent Happiness Ratings can be automatically collated and displayed in your Help Center. After all, if you deliver great service, you might as well flaunt it!